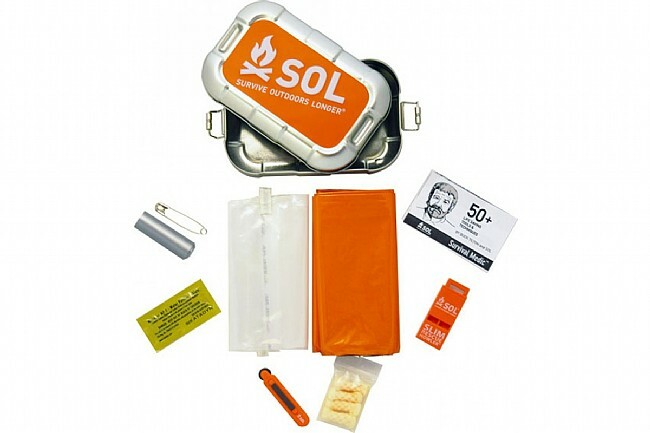 Adventure Medical Kit’s SOL Traverse Survival Kit features an old school survival tin with the quality and features of a modern survival kit. The Traverse survival kit covers four of the main survival areas: water (purification tablet and 1-liter bag), shelter (blanket that reflects 90% of body heat and stretches up to 650%), fire (waterproof Fire Lite™ striker and Tinder Quik™), and signaling (Mini Slim Rescue Howler™ pea-less whistle). 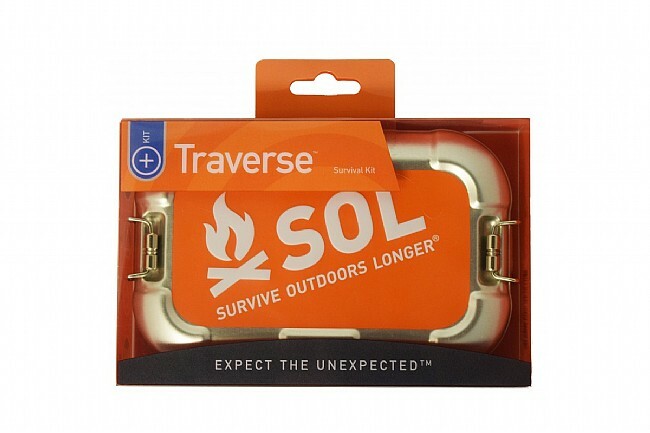 The Traverse measures out at 6.25” X 4” X 1.5” and weighs a mere 6.1oz; this makes it one of the lightest survival tins out there and an adventure necessity.